Spinal cord injuries can be some of the most devastating and life-changing injuries and can affect the rest of your life. The settlement that you can receive following an accident will depend on the extent of your injury and the impact that it has on your life. Injuries can be classified as either complete or incomplete. These terms refer to the level of function that you have following the injury. Complete spinal cord injuries are injuries that cause a person to lose all sensory and motor function below the injury level. An incomplete spinal cord injury refers to injuries that allow the individual to retain some level of sensory and motor function below the injury level. The most severe spinal cord injuries are called complete injuries. With these injuries the spinal cord is so badly damaged that it is split in two. Severing the cord like this will usually result in either paraplegia or quadriplegia and are characterized by a total loss of sensory, motor, and reflect function below the point where the cord is split. Anterior cord injuries are incomplete cord injuries that affect the front of the spinal cord and include some degree of paralysis above the injury. Individuals with anterior cord syndrome will usually retain the sense of touch but will be less able to recognize sensations relating to temperature and pain. When anterior cord injuries are accompanied by this inability to feel pain or temperature, a greater settlement is often awarded. Victims of central cord damage suffer injury to the center of the spinal cord and will retain more function in their lower extremities, but will experience a greater loss of function and feeling in the upper body. Individuals with these injuries are more likely to be able to move their legs than they will their arms. If there is paralysis involved in a central cord injury, a victim may be awarded a significant settlement. Posterior cord injuries are incomplete spinal cord injuries where injured individuals lose an ability to perceive fine touch and recognize the way that body parts are positioned. However, victims will retain some sensory and motor functions. Settlements for posterior cord injuries will likely be less substantial than with some other spinal cord injuries. While some of these injuries will be more severe, all spinal cord injuries can have a devastating impact on the emotional, physical, and financial well being of injured individuals and their families. Spinal cord injuries usually require rehabilitation and ongoing medical treatment, and recovery sometimes includes vocational rehabilitation. In addition, accident victims may require guidance in coping with the injuries and its effects both physically and emotionally – a process which can depend on the extent of the injury and can take either months or years. The cost of these injuries and the cost of recovery can be extensive, and when individuals experience lost earning capacity and are unable to return to their prior employment, the financial loss that victims and their families experience can be devastating. In addition to being some of the most devastating and life-changing injuries, these injuries can be some of the most expensive to live with. Some estimates state that over the course of a lifetime these injuries can cost between $700,000 to $3 million for individuals who are in their 20s when they become injured. Obviously these costs depend on the severity of the spinal cord injury and the level of paralysis, as well as the age of the victim. If you or a loved one is injured and sustains a spinal cord injury, contact a St. Louis spinal cord injury attorney as soon as possible to discuss options. 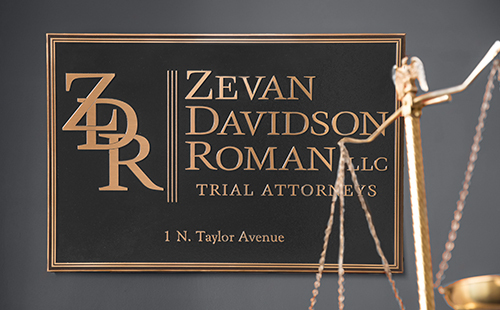 The experienced personal injury attorneys at the Zevan and Davidson Law Firm can evaluate your case, determine its value, and pursue full compensation for the injuries and financial losses you have experienced relating to the injury. To schedule a free consultation call us today at (314) 588-7200.